Eighty 15- and 16-year-old high school students from Oman's Al Batinah South Governorate attended a Leadership in Schools program presented last week by global defense, aerospace and security company BAE Systems, Oman's Ministry of Education and Oman Sail. Students participated in a variety of outdoor challenges on both land and water in the program designed to enhance the youth's ability to solve problems while incorporating ethics and creativity. 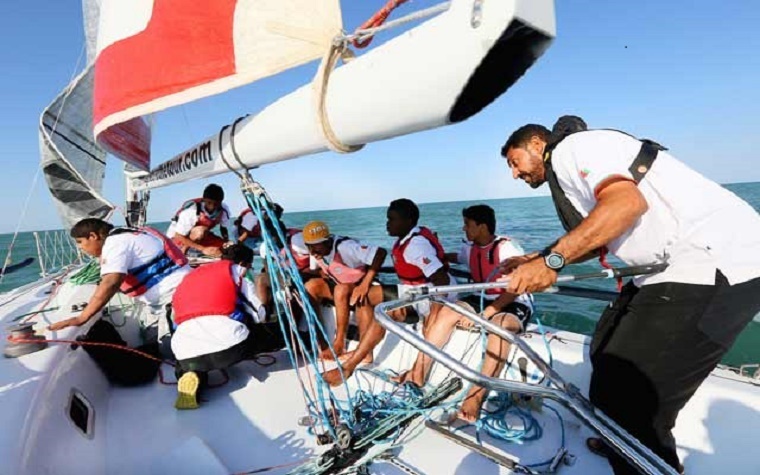 "Together with BAE Systems, we are offering students a unique opportunity to learn how to work as a team, develop themselves, communicate more effectively and perform outside their comfort zones," Oman Sail Senior Facilitator Ahmed Al Mamari said. "The ultimate aim is to provide students with motivation and self-awareness by using sailing and outdoor activities to teach the skills that colleges and employers look for in an individual." Leadership in Schools is one of several programs included in Oman Sail's Corporate and Personal Development program (CPD). "BAE Systems' education programs in Oman ensure that young people experience new opportunities, which will help them to be more productive, competitive and successful in the workplace and play a key role in their personal development," BAE Systems Oman General Manager Matthew Foster said. Next time we write about BAE Systems, we'll email you a link to the story. You may edit your settings or unsubscribe at any time.